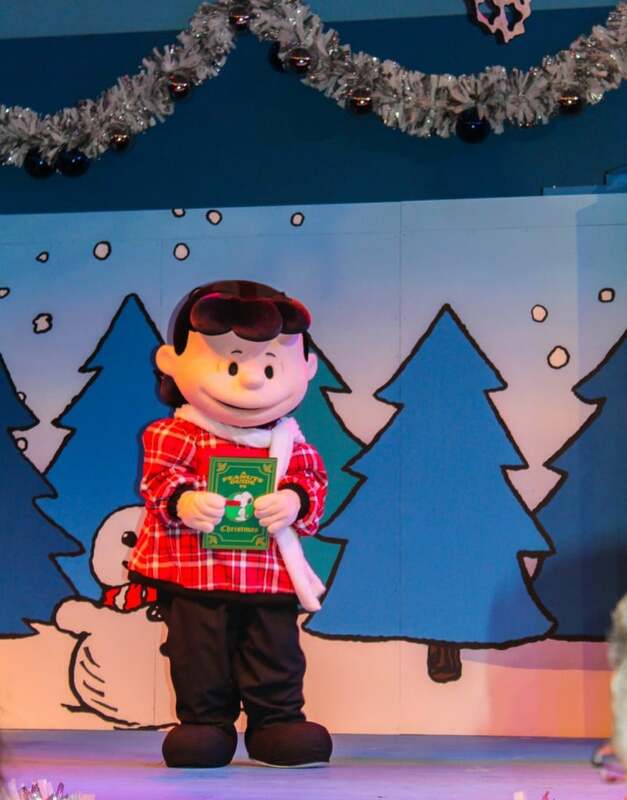 The first thing we did was take in a performance of the ever popular Merry Christmas Snoopy! ice spectacular inside the Charles M. Schulz Theatre. 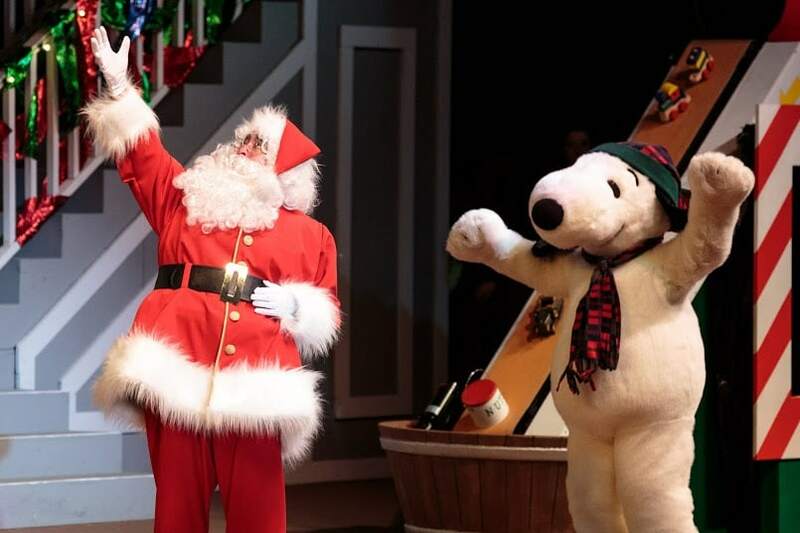 During the show, which is filled with whimsy and spectacular skating, Snoopy enjoys all of the best parts of the season, including trimming the Christmas tree, awaiting Santa’s arrival and attending the festive Christmas Ball! Since the lines to get into the show can often be long, especially on the weekends, I recommend that you plan to arrive at least 30 minutes beforehand. Also make sure to bring along a jacket, because you will be waiting outside until the doors open. 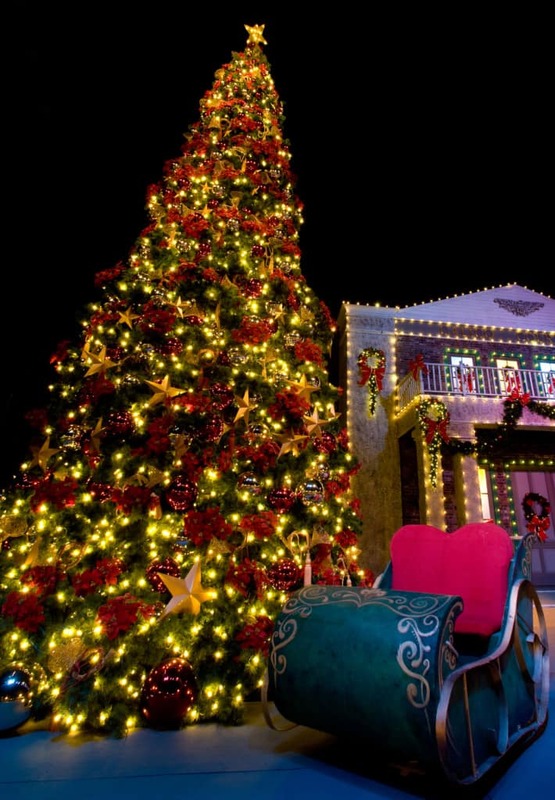 As you stroll throughout the theme park, you will hear seasonal music playing about, which contributes to the ambiance of the festivities. 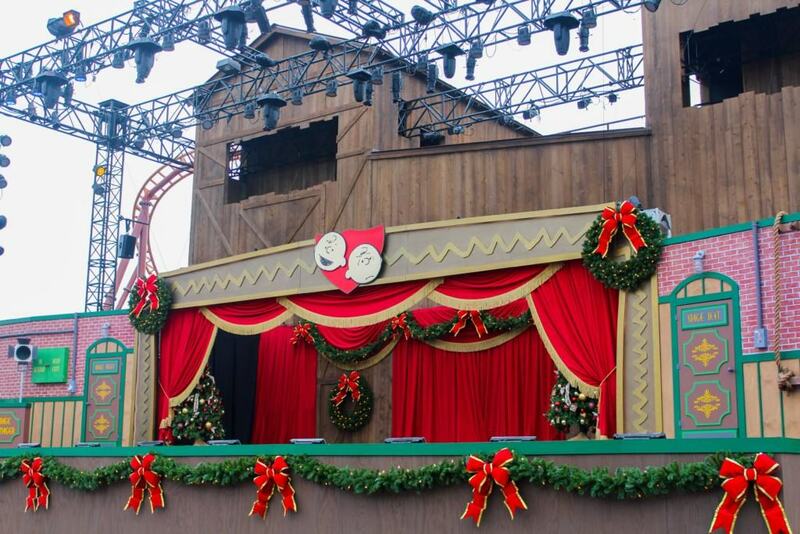 You can also hear live entertainment and take in a show at one of the many performance venues at Knott’s Berry Farm. 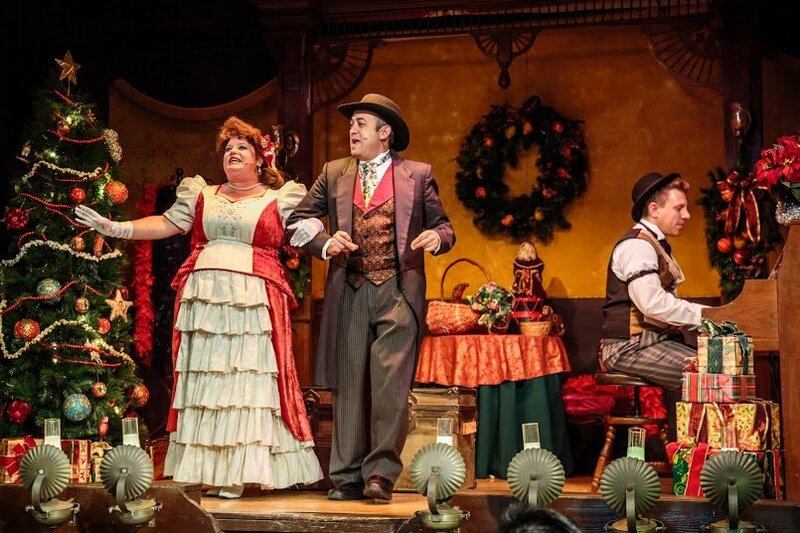 For instance, Ghost Town celebrates the sounds of the season with the Dickensian vocal quartet, while at the historic Bird Cage Theatre, you can see Charles Dickens’ A Christmas Carol or O. Henry’s A Gift of the Magi. On the day that we visited, after watching Charles Dickens’ A Christmas Carol, we headed over to Camp Snoopy to see the Peanuts Gang in their charming holiday show “A Peanuts Guide to Christmas.” The Peanuts Gang shared their unique wisdom in a primer designed to help everyone survive the holidays. The delightful crew also sang heartwarming holiday songs and invited the audience to sing along. 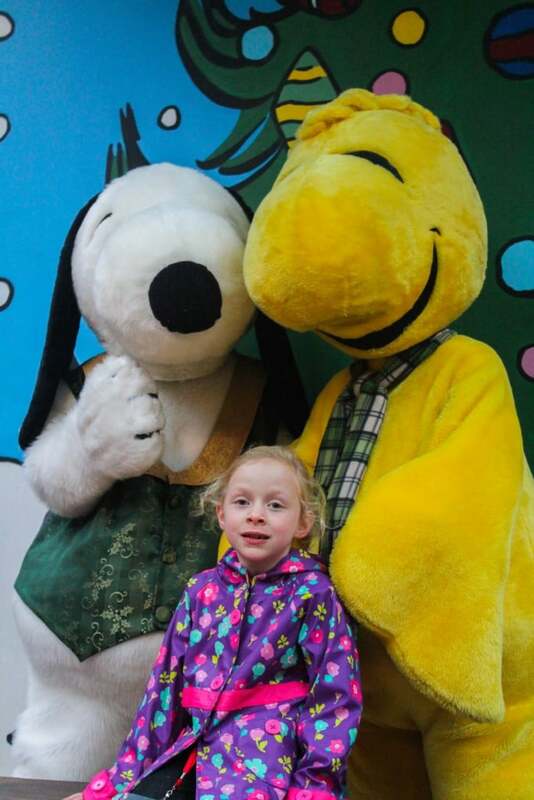 After the show, we went right next door to the Peanuts Meet and Greet Area to take Field Trip Girl’s picture with her favorite characters. 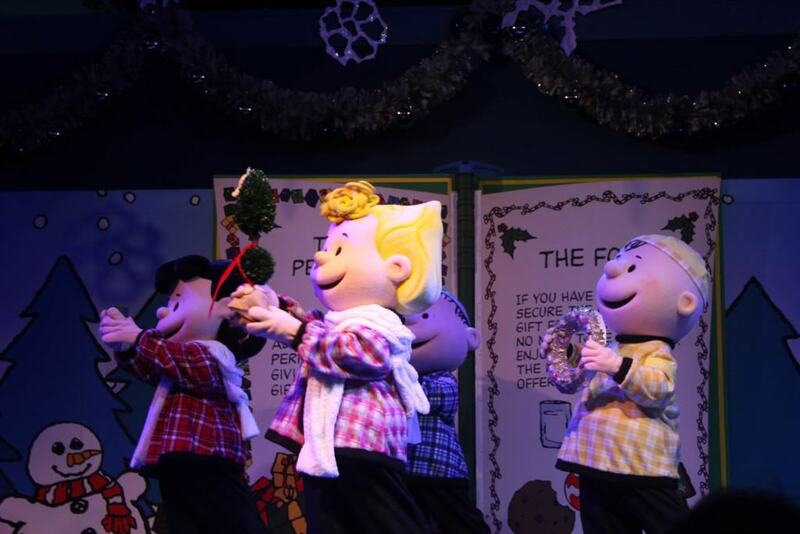 New this year, It’s The Merriest Christmas Show Ever, Charlie Brown takes place at the new Calico Mine Stage. 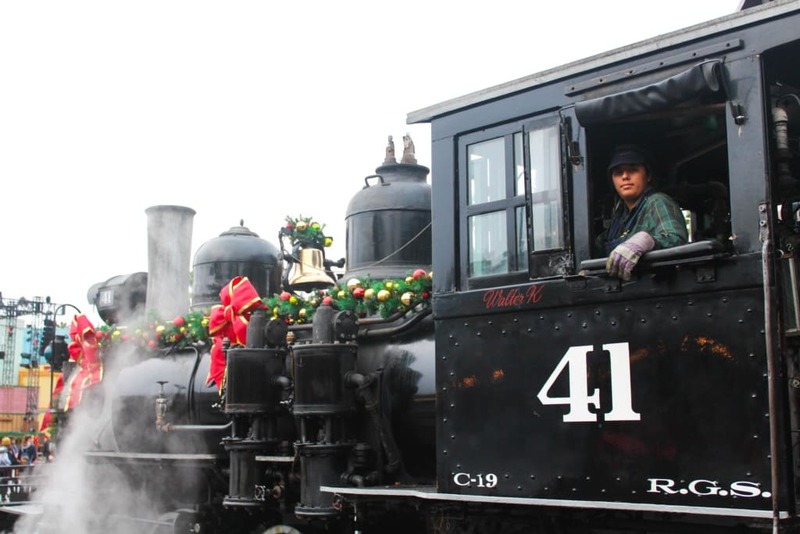 During the show, we heard the gang sing traditional upbeat holiday classics and spread Christmas cheer. We also anxiously waited to see if Snoopy would return home in time for a magical and festive holiday season to celebrate Christmas with Charlie, Sally and the rest of the Peanuts. Finally, when the sun set on the Farm, we saw the Calico Stage light up with the celebration of the season in Snoopy’s Merriest Tree Lighting! 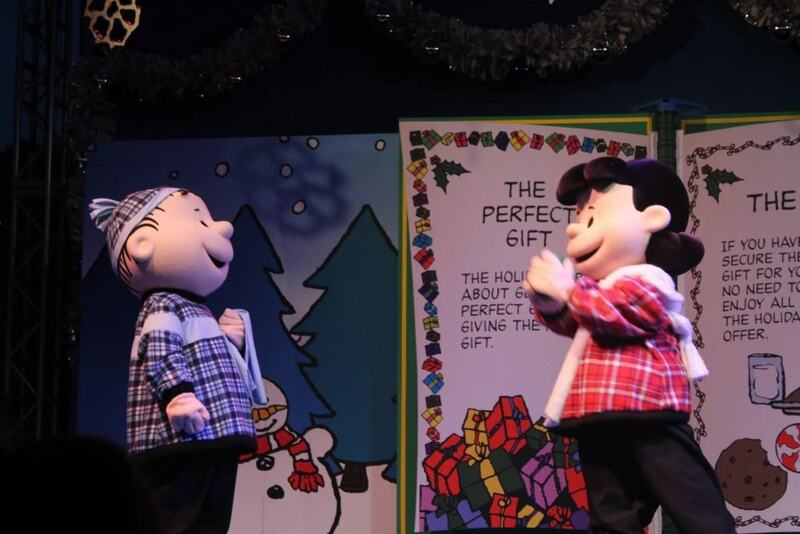 The show featured a beautiful tree lighting ceremony and had Toy Soldiers, Snowmen, Elves and of course, America’s most famous beagle, Snoopy! 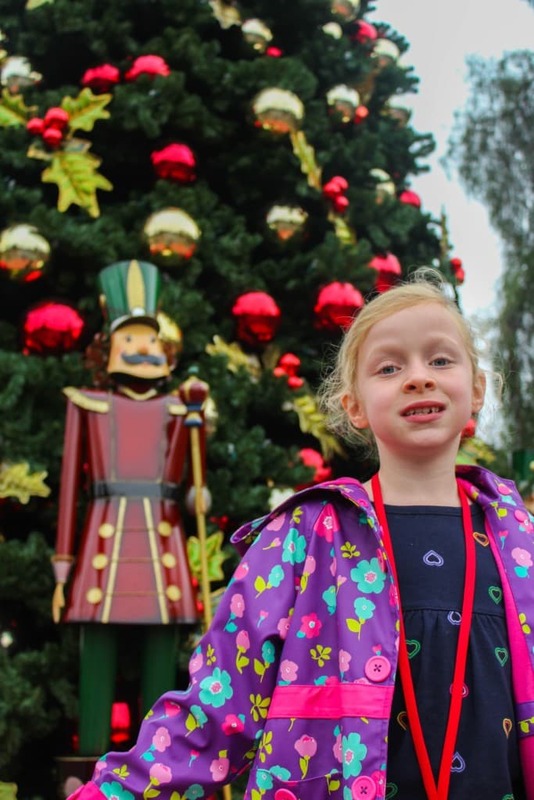 You can also take pictures in front of the many Christmas trees throughout the park. They make great family photos. When the sun set on the theme park, the buildings and paths in Ghost Town’s Main Street filled with snow! Thousands of sparking lights danced to the beat of familiar holiday music while snow gently fell from the sky. Snow falls every hour on the dot. 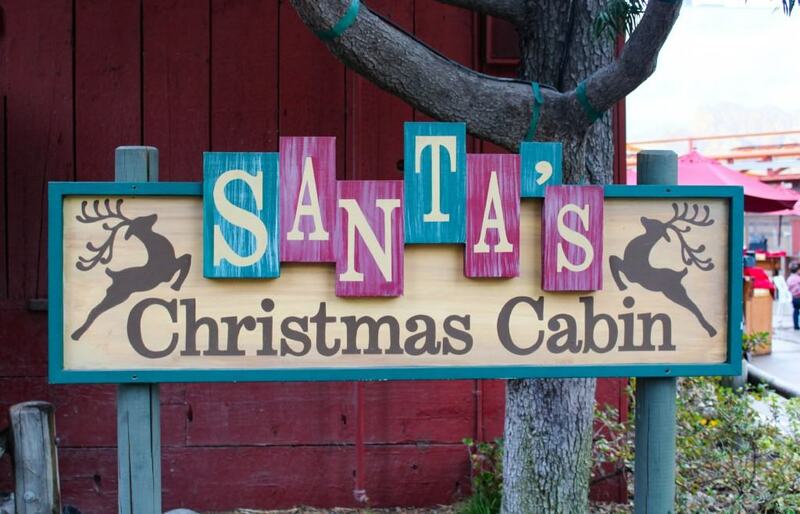 My personal favorite activity during Knott’s Merry Farm was a visit to Santa’s Christmas Cabin. The Wilderness Dance Hall in Ghost Town is turned into Santa’s Christmas Cabin for the holiday season. Here, my children shared their wish lists with jolly Santa Claus and we even got to take home a picture of the occasion. 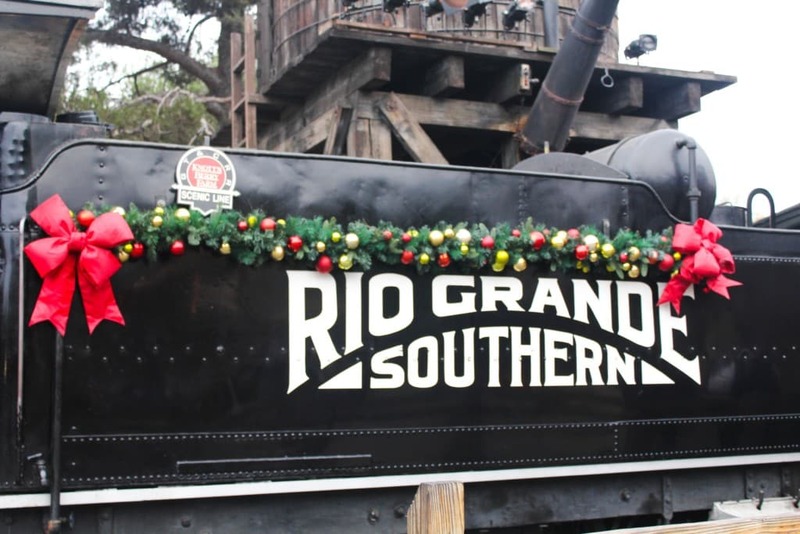 Knott’s Merry Farm takes place every day, November 19, 2016 – January 8, 2017. It is a wonderful holiday tradition to add your family’s wish list this year!